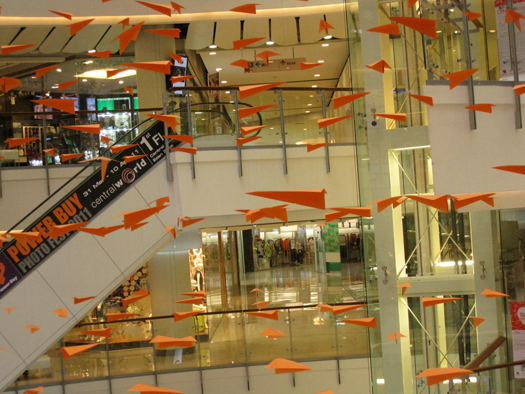 I came upon this amazing art installation at the Central World Shopping Mall in Bangkok. 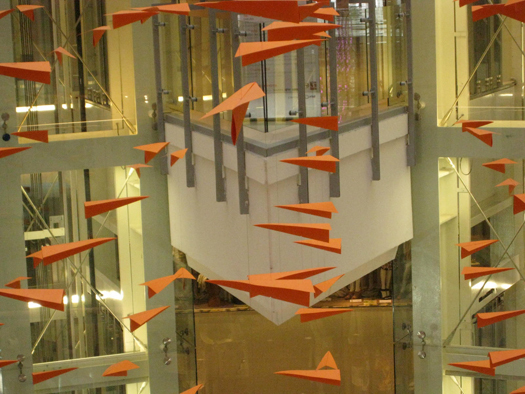 It's made entirely of orange paper airplanes! Such a simple concept yet so beautiful. 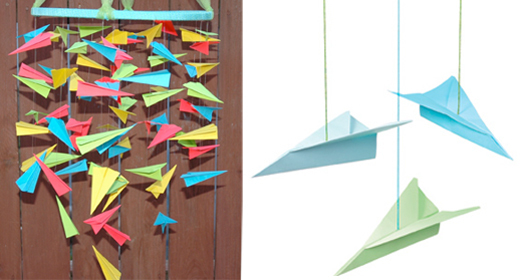 How great would that look as a DIY mobile for you nursery?! Maybe that's one to put on the project list when I get home? For now check these two out - 1. by Beautiful Weirdos on Etsy, 2. An idea from Real Simple. My agent calls me on Wednesday: "Your ticket is confirmed, you fly to Bangkok on Friday"
Thailand? in two days? Really? No joke? I had no idea that when I chose my word for the year what it would really mean. I chose the word, "sparkletanous" because my life can be chaotic. In my line of work I have to be ready at a moments notice for anything. It's really hard to plan anything because I often have to cancel if a job pops up. Last year I began to get annoyed that I couldn't commit to plans, that my career path kept me on a constant roller coaster of work and waiting for work to come. My mom even had to cancel a trip to visit me in LA because the week she planned to come I got sent to do a job in New York. 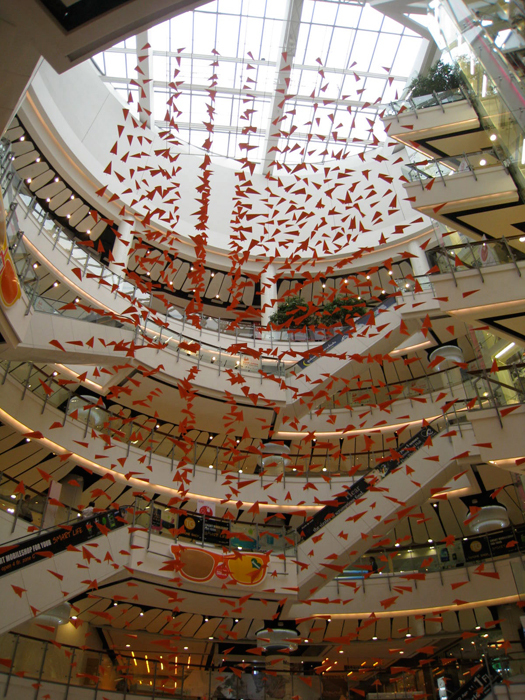 This year I chose the word, "spontaneous" to remind myself to embrace the surprise. I gave myself permission to avoid planning too much and to say yes to new opportunities. The "sparkle" in sparkletaneous comes in the details. So, as I blog this post from my hotel room in Bangkok, I would like to share with you one of those details: My Sparkletaneous kit. It's a little bag which I keep packed and organized. 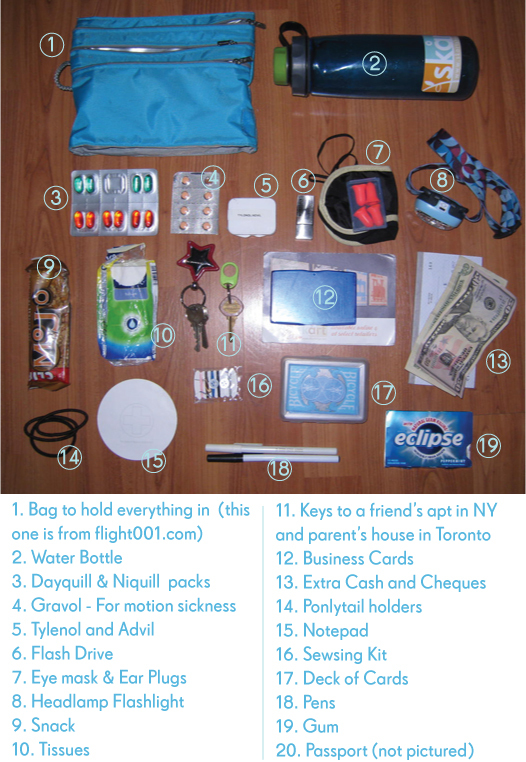 This bag keeps all my travel necessities in one place and allows me to be ready to go anywhere at a moments notice. 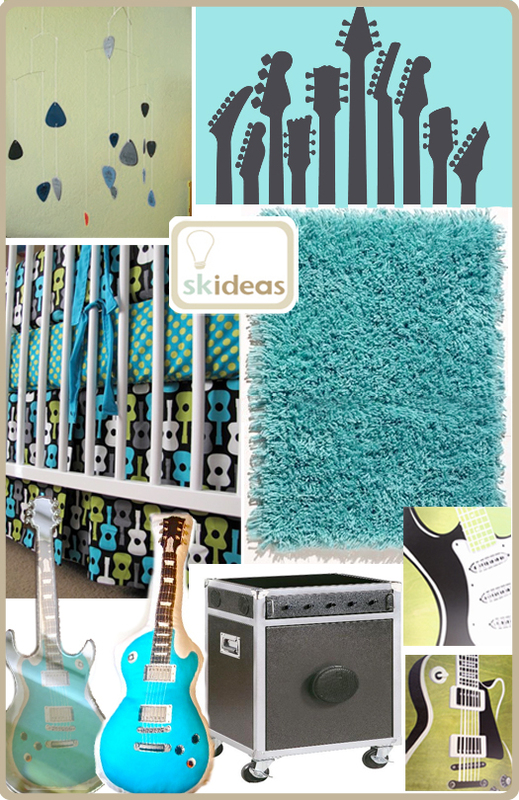 Turquoise Ultra Shag Rug --- Every Rock Star needs a plush shag underfoot! This year her son will be 3; we need to take it up a notch. 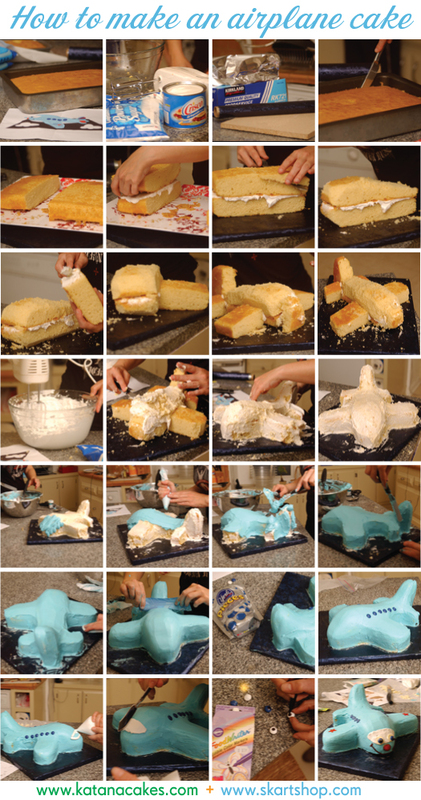 I invited my friend Karen from Katana cakes over to give us a few tips on how to decorate a cake like a pro. It's amazing how a few little tricks can make all the difference. 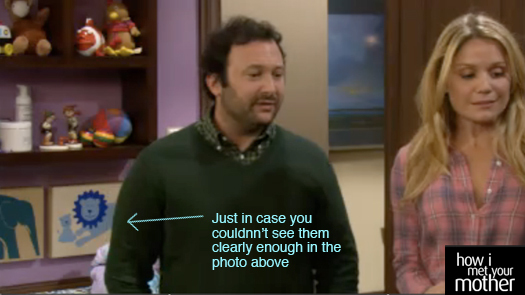 I Just found out that Skårt has been on TV again. I accidentally happened upon this fact through a new brilliant blog I read called Buy Modern Baby. 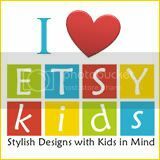 As the name suggests it's a great resource for all things modern for the little ones. She does a great feature where she examines nurseries designed for TV and researches what the products are and where to find them. 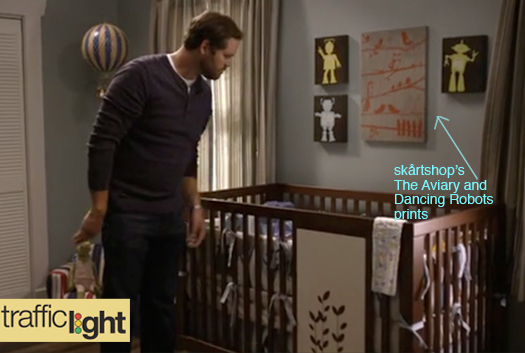 Like this Nursery from Gossip Girl and this one from Traffic Light which is how I stumbled on to my artwork on the wall. 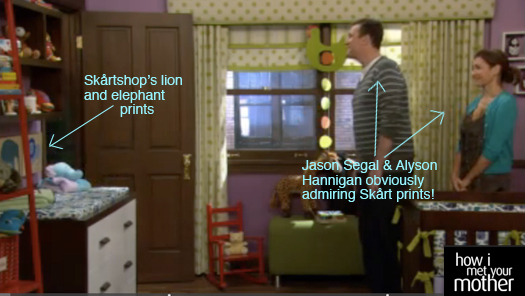 Oh and while we are on the subject of TV nurseries, I just realized I never posted the pictures of Skårt which was featured in a Nursery on How I Met Your Mother. 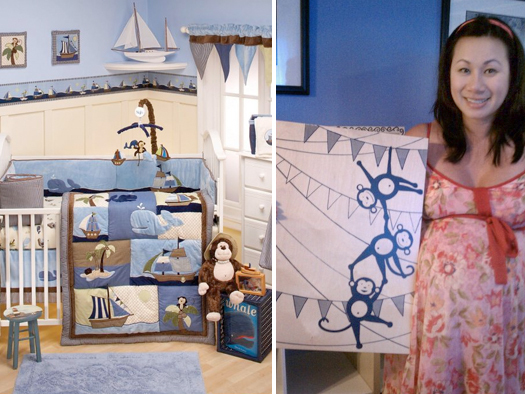 My newest design was inspired by The Ahoy Mate crib set by Nojo, ie the bedding in my friend's, soon to be mommy, nursery. The Bedding is very nautical but I couldn't resist highlighting the monkey element. 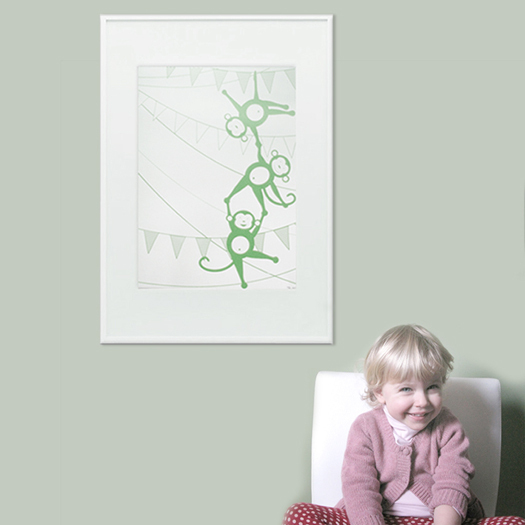 I drew three monkeys doing acrobatics off rigging lines and flags which could imply a ship or a circus tent and work in a variety of decors. Currently available for purchase at Skartshop.com in Navy, Green, Red or Orange. Or choose your own color to match your decor. -- "There are no seasons, therefor you don't appreciate the weather"
In fact, I've been appreciating the weather this week so much that I've been too busy hiking, biking and participating in assorted other outdoor activities I seem to have neglected my printing. 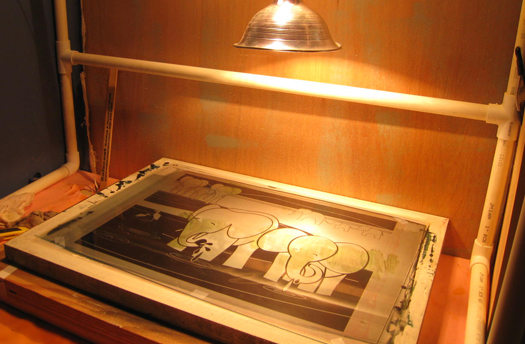 So the blog post that I had planned for today featuring all my exciting new prints is not going to happen. But I can share with you pictures from my glorious hike yesterday. Maybe it will rain this weekend and I can get some work done to have something more exciting to post on Monday. 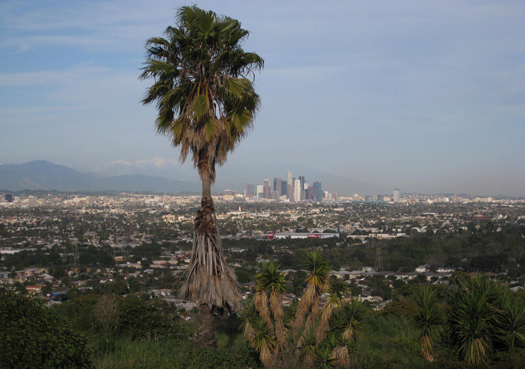 And, it's okay if all you cynics stay away from L.A. "because the weather is too nice all the time". It just means the hiking trails will be less crowded for me! 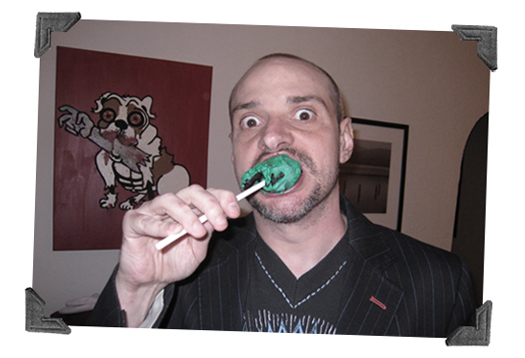 Cake Pop Update; Because I know you were wondering! 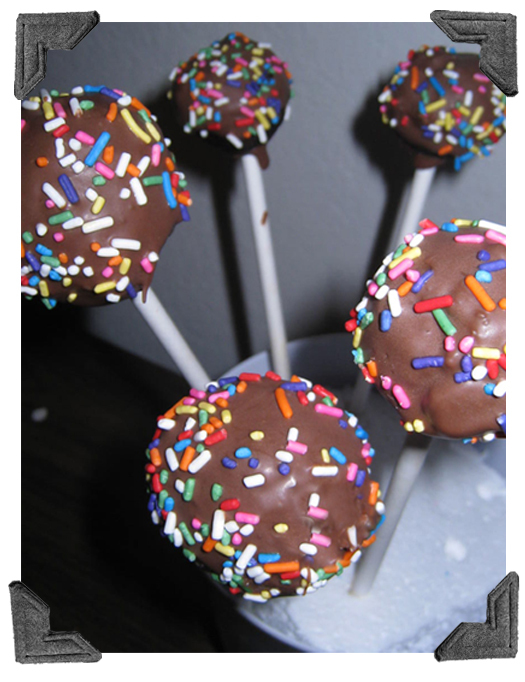 Despite the initial debacle with the Cake Pop disaster I persevered and tried another batch. It was a friend's birthday party and I wasn't giving up this time. He's a friend with an odd sense of humor which happened to match my baking (or lack thereof) skills perfectly. 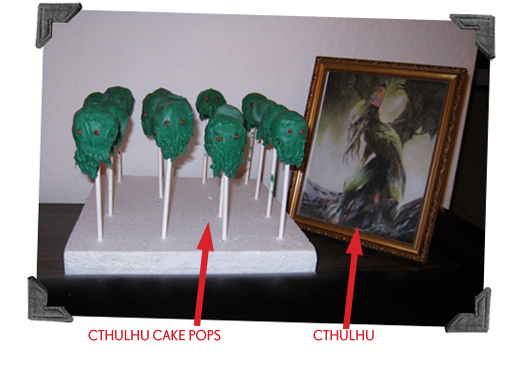 And so I created Cthulhu Cake pops! 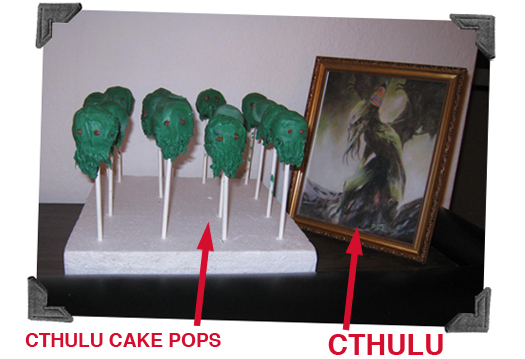 So they kind of looked weird and disgusting with tentacles and a green uneven texture -- but fortunately that's how Cthulhu looks. And those who were brave enough to try them will attest to the fact that they tasted pretty darn delicious. Final Assessment: Cake Pops are great --- just keep it simple for your first time out. You can't go wrong with chocolate and sprinkles. 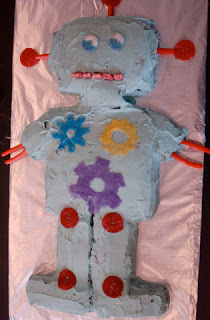 For an easy DIY tutorial check out this one from Roxy Cakes. Following on the theme of "Take your Sister to Work Week". My sister tried her hand at designing and making a few t-shirts. 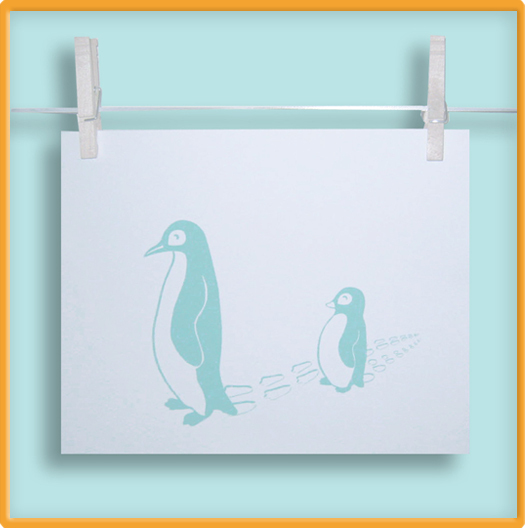 She came up with this adorable scene of two Penguins trudging through the snow. So adorable, that I helped her turn it into Skårt. You can find different colored versions of this print for $16.00 on Etsy. 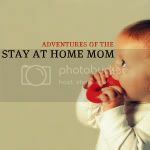 Now I'm trying to convince her to design a few more so we can turn this into a series and print it on wood. What would you like to see? 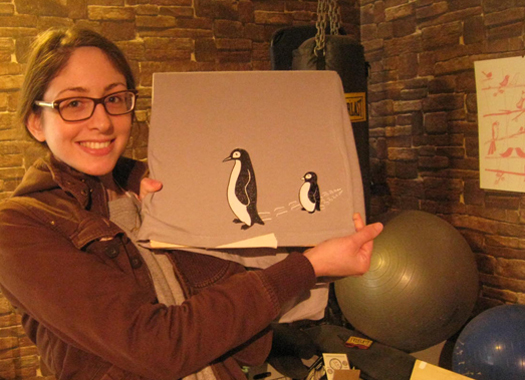 A series of 4 different penguin prints? Or other animals, maybe polar bears? seals? or other arctic/antarctic creatures?